Kashmir is known for its cultural history, temperate climate and unmatched scenic beauty in the entire world. But at the same time there is no dearth of creative people, who have not only made their families proud but they have brought laurels to the state as well. The state of Jammu and Kashmir has gone through many adversities from time to time and it has made people here a bit insecure about their future. While choosing a career, the priority of person is to opt for career who guarantees a secure job and here in Kashmir only government jobs even with very low salaries are meant to be secured. So the trend of creativity and innovations really find it difficult to survive. All those who prefer to follow their passion and try very hard to innovate new things, face a lot of difficulties. In this report the researcher have documented some of the innovations which are ready to bring the global changes and open the fortunes of success for themselves and for the state. 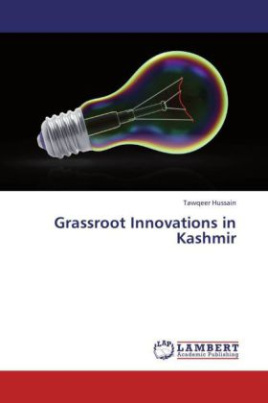 One of the innovators Mushtaq Ahmad Dar from south Kashmir has made us proud by acknowledging the creativity of Kashmir and making it to the national and international levels.